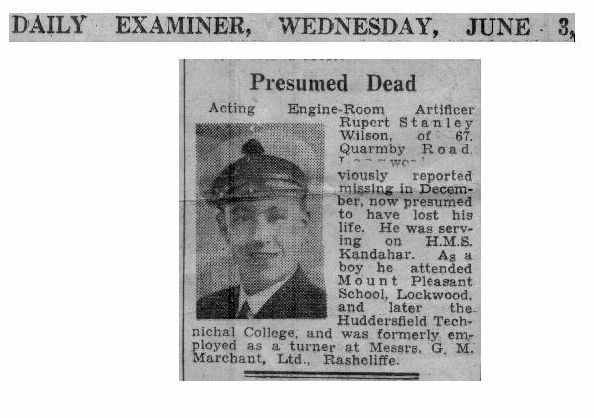 "WILSON, RUPERT STANLEY, ENGINE ROOM ARTIFICER"
WILSON, Engine Room Artificer 4th Class, RUPERT STANLEY, D/MX 60732. Son of Edwin B. and Elizabeth Wilson, of Paddock, Huddersfield. Portsmouth Naval Memorial, Panel 51, Column 2.